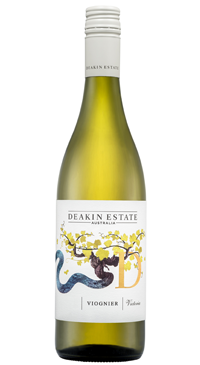 Deakin Estate is a family-owned estate with vineyards near Mildura, in north west Victoria, Australia. Here, the Murray River runs through the land providing nourishing water to the region and the vines. Deakin has 217 hectares under vine, resting alongside extensive orchards of oranges, avocados and mangos. This is a rich, fruity and exotic wine. The nose and flavours exude sweet ripe tropical fruit, but the palate is pleasantly dry with just 2.0 g/L of residual sugar. An excellent partner for grilled fish, roast pork and curries.